Anyone familiar with the otaku fandom is well aware of an established trope of our time we’d like to call the Waifu Generation. It’s been one of Japan’s more influential marketing moves to make their works more memorable and their followings more involved by latching on at least one female presence in their works. 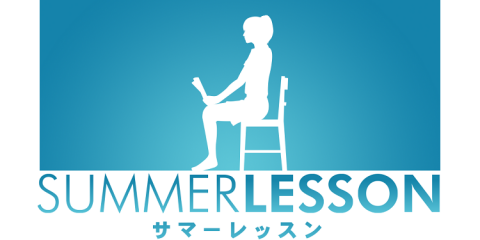 It may seem like a lazy tactic but it has been working for quite some time now and has roduced success even in the most ridiculous of premises – females in fighting games and sentai series, genderbending, and the anthropomorphic gijinkas to name a few. It softens and lightens any material for easier processing when there’s a cute muse to invite you in – as well as making a thing you wouldn’t normally be interested in into something a little bit more attractive. 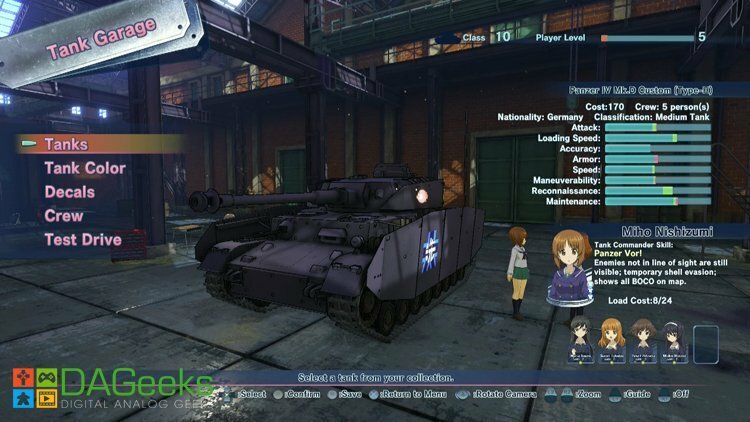 Today’s spotlight for discussion falls on Bandai Namco’s latest anime release, Girls Und Panzer: Dream Tank Match. 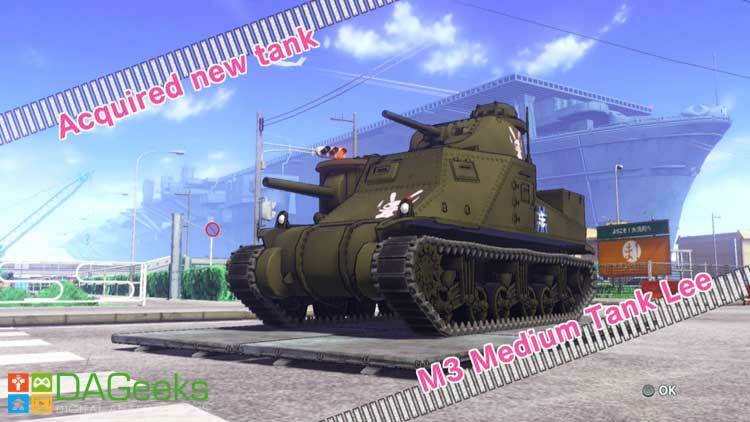 Now as I’ve said, things like tanks and warfare aren’t really things I would give the time of day, but since it came with an anime girl package, my curiosity got the better of me and made me wonder how Japan made this work. 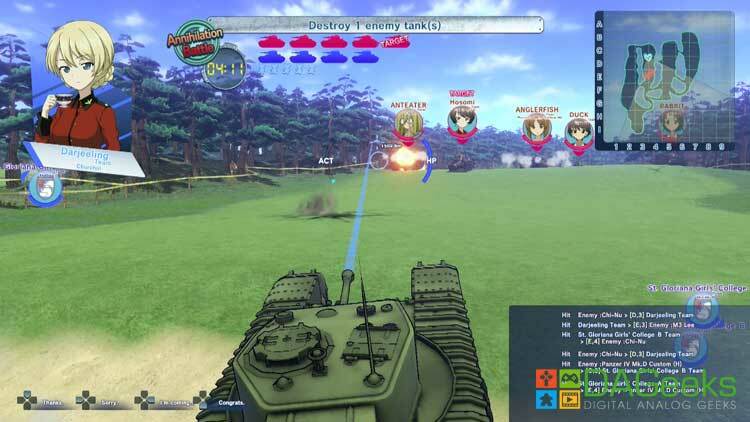 Dream Tank Match is based on an anime about various all girl schools specializing in tank warfare, because – as I quote – “manuevering tanks is essential to a maiden’s lifestyle”. Why not? 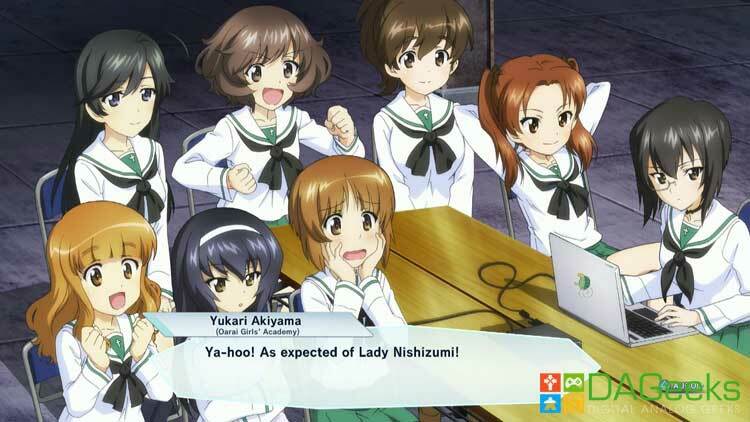 Now, ridiculous as the premise may be, the source material spends no time justifying itself and delves straight into action – showcasing various military manuevers, tank models and histories, and surprisingly well-simulated action – all while still maintaining the purity and innocence of its female cast, as well as sending out a message of friendship and camaraderie. 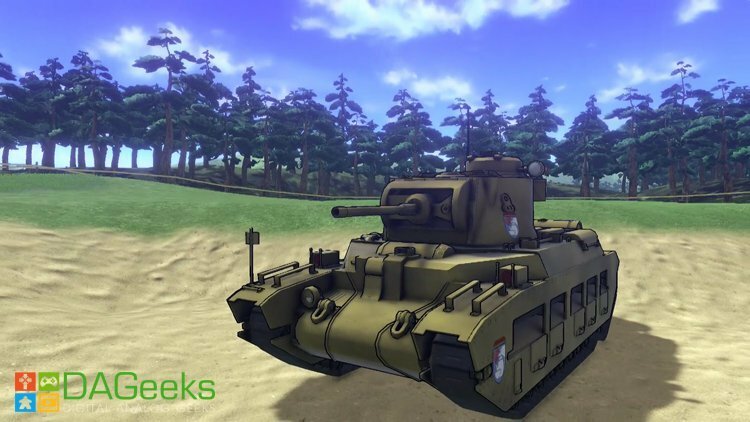 It’s a unique blend of sports, cuteness, and armored warfare in a classic underdog ascension exposition. The game itself is a 3rd person shooter skirmish where you play as tanks – piloted and crewed by the anime characters. 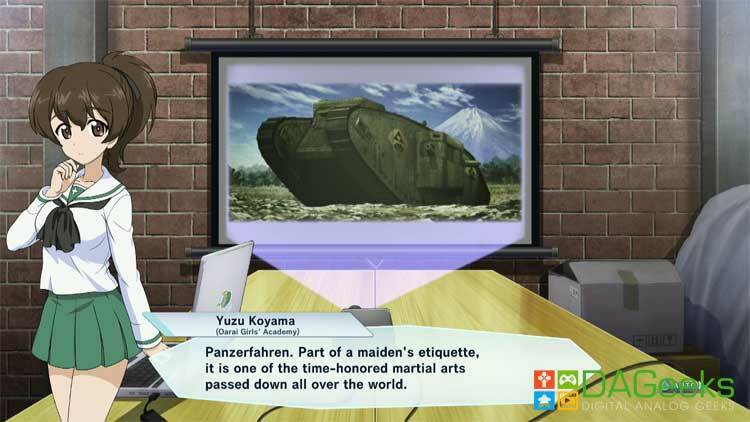 It’s actually a lot shallow, as the game doesn’t fully translate the anime’s emphasis on strategy and war tactics. 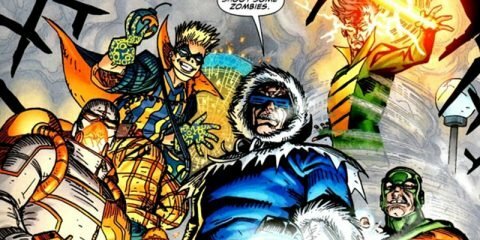 Even though most of the fights are made to recreate the series’ and the movie’s iconic battles, it ends up as nothing more than a generic first-to-wipe-out-enemy-team. The controls for me are kind of clunky and maybe a little too complicated for its own good – making it seem like it’s better suited for a PC release than a console one, but I may be to blame as this kind of game isn’t exactly in my line of expertise. 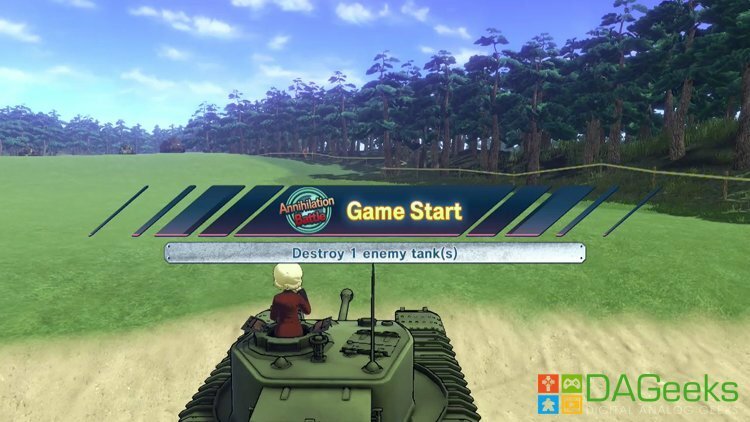 That, and I’m supposed to be driving a tank. But for what it’s worth, it looks like it could be fun in a simple multiplayer setting. 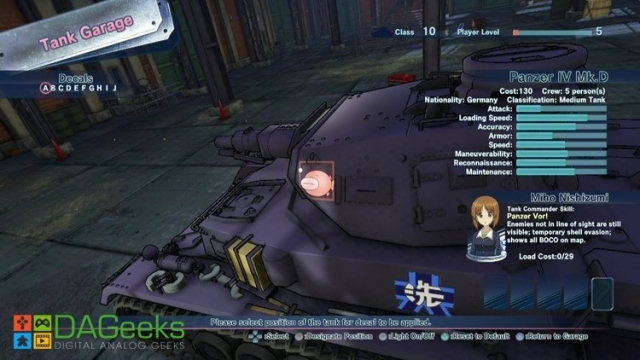 It also features unit collecting as there are a lot tank models, decals, and crew members to unlock. And though these collectibles look pretty, they are far from just being cosmetic, as they offer particular tactical buffs and skills to work around your playstyle. Lastly, I wanna talk about the graphics and the audio, which are the best parts of the game. It’s slowly becoming a trend for Namco‘s 3D anime titles to be so well-rendered and textured that almost every scene is a sight to behold. The environments are so detailed, and cinematics really give you the feel of being immersed in the anime – not just in battle, but also in the casual parts of the game. All the characters are fully voiced, both in battle and in story cutscenes, and, boy, do they talk a lot. 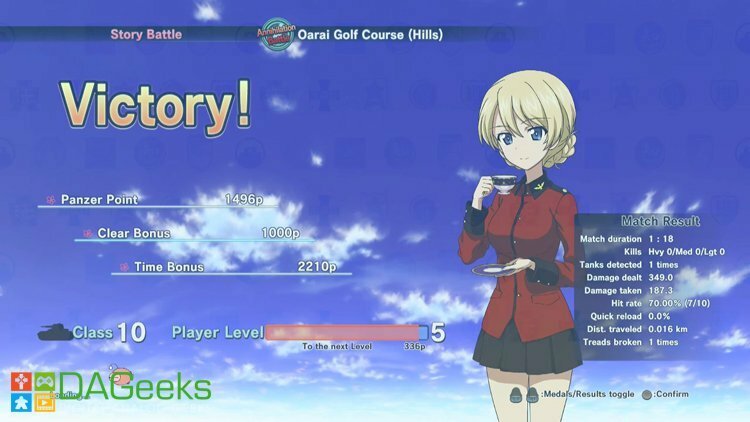 It’s sure to satisfy any waifu-seeking fan looking into playing the game. Story mode itself is just a rehash of the movie, and are mostly just talked-over screenshots, but the VN-style of narration is also fully voiced and is a nice touch to an otherwise generic game. 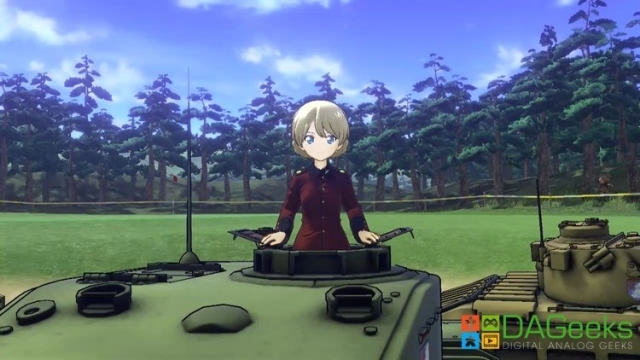 All in all, Girls Und Panzer: Dream Tank Match may not be as good as any of the other tank sims out there, nor is it the best adaptation or way-in for the anime, but it is still a decent time-waster if you’re a fan of the series or the genre. Content-wise, it is kinda scarce, but it is nice to look at. 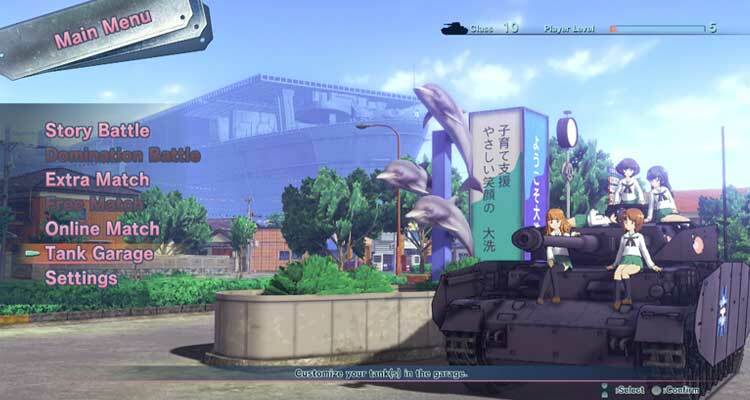 Taken on its own merits, it is a solid and enjoyable game, as well as a fun foray into the world of anime tank girls.